Incense sticks and holder frankincense and myrrh fragrance, big packs of 100 top quality and highly fragranced incense sticks. 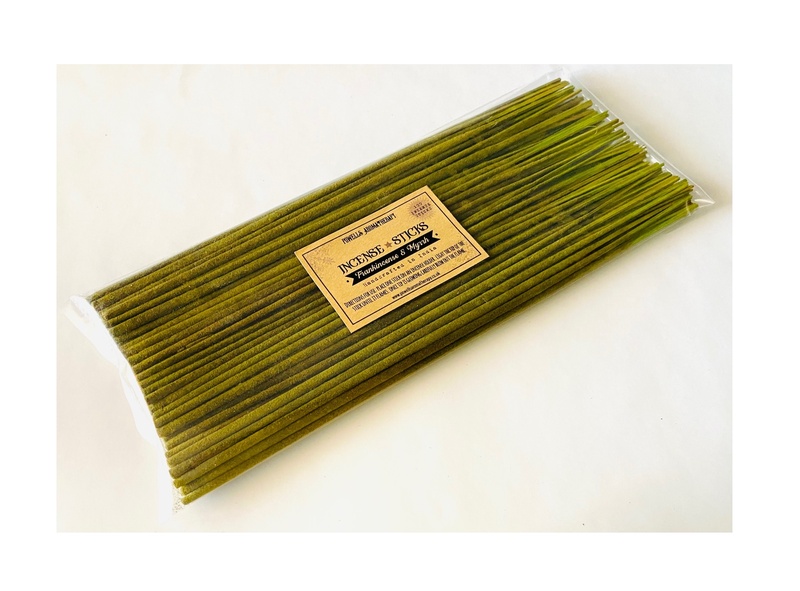 These frankincense and myrrh incense sticks are 25cm long and are all individually coloured (see picture). These frankincense and myrrh incense sticks and holder sets are all hand-rolled, fragranced, coloured, and made in India on a natural bamboo stick. Pack size: 100 frankincense and myrrh Incense sticks.